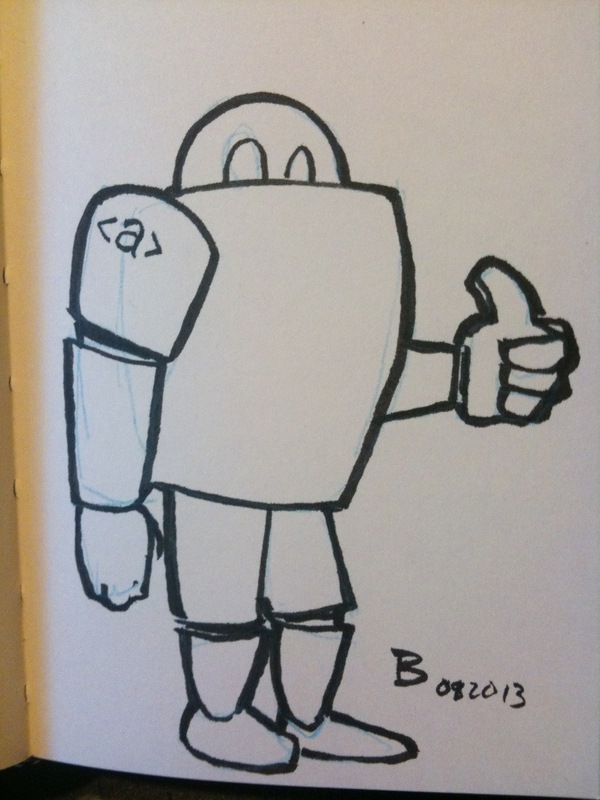 Robot of the day: today’s the day! Today’s the day! 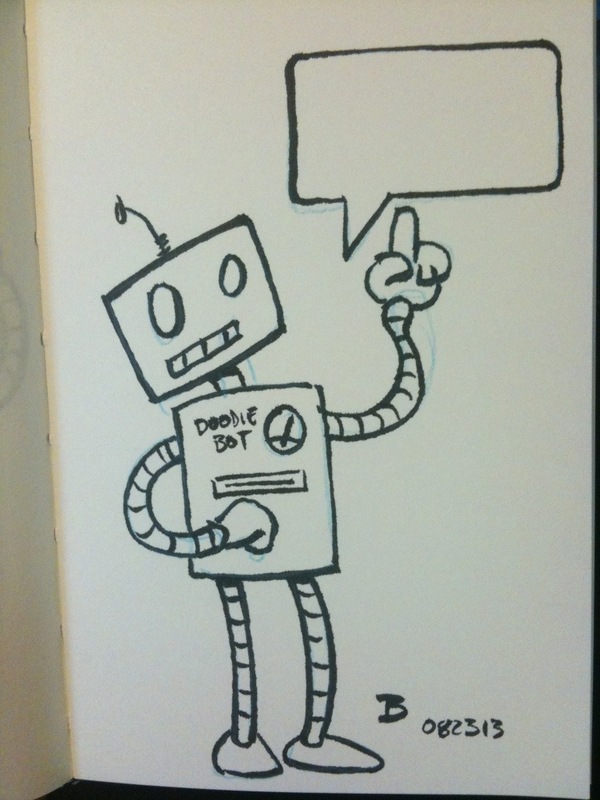 Leave a comment letting us know who is your favorite robot from movies, books, etc. 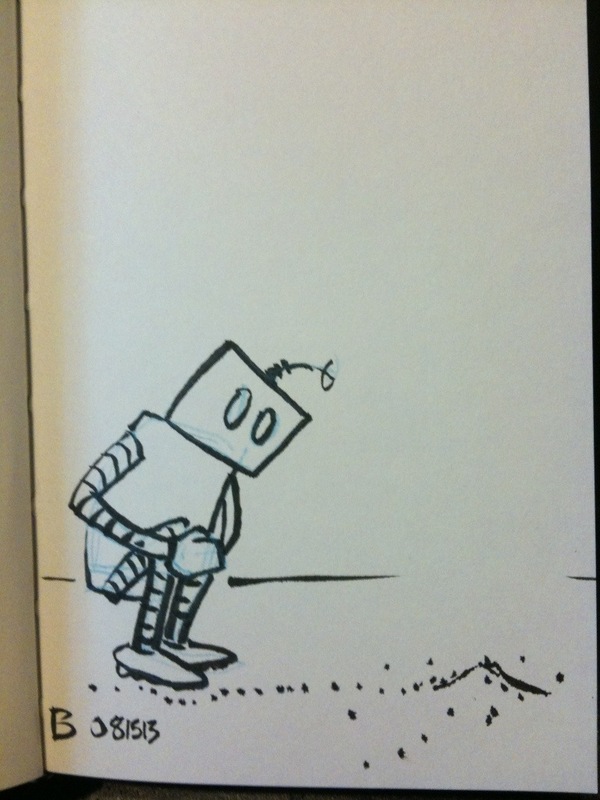 and later today we’ll choose five to receive original robo-doodles! Beepboop! 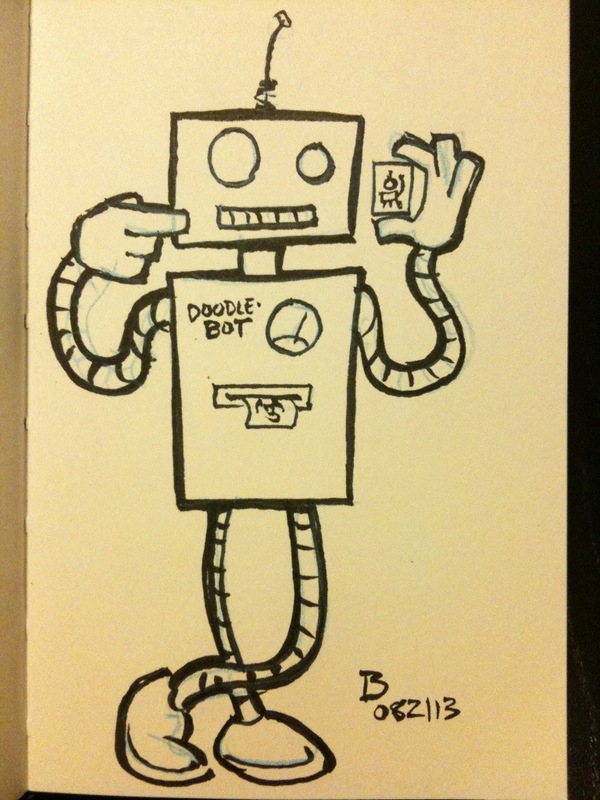 Robot of the day: Win a robo-doodle! 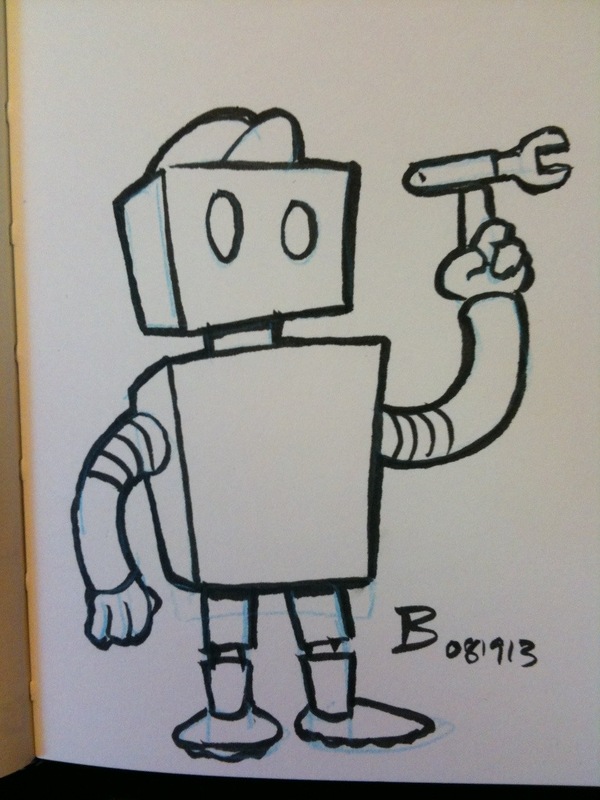 Win an original robot sketch card! 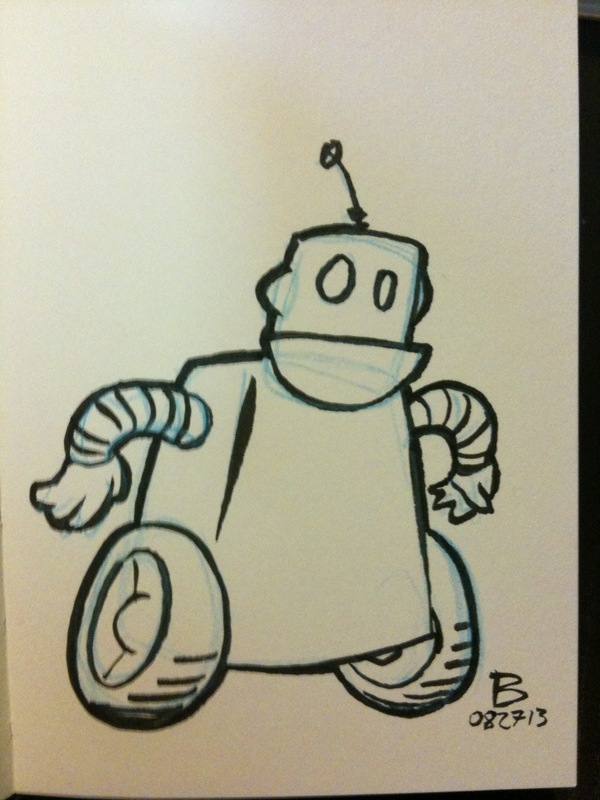 Leave a comment telling us who your favorite robot is from movies, comics, wherever. 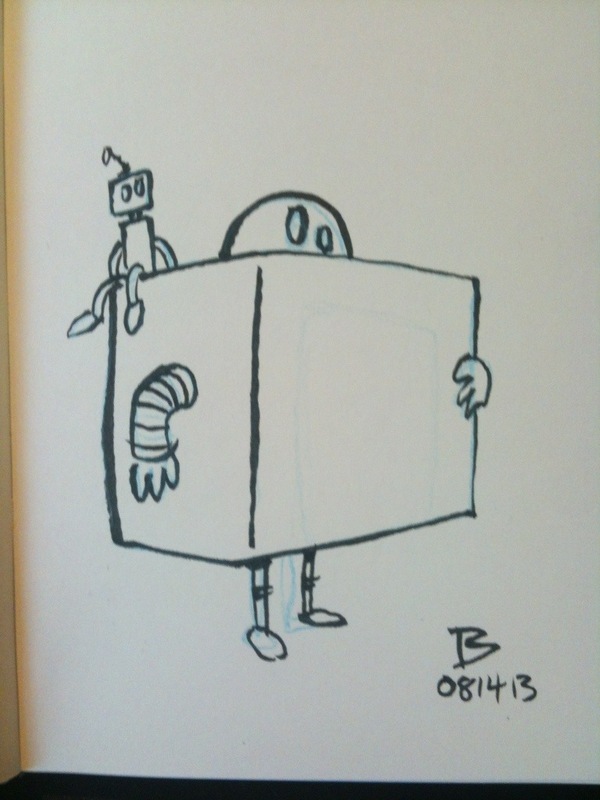 Then on Friday, August 23, we’ll select five (utilizing a highly complex robotic random selection algorithm) to receive an original robot doodle on an “Artist Trading Card.” How about that, puny hu-mans? Beepboop!